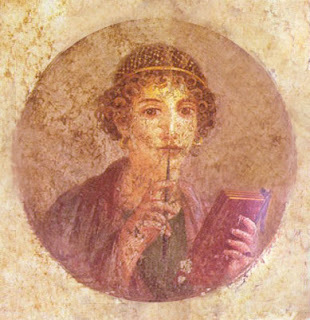 Muses of Ancient Greece were Goddesses who inspired the Arts and Sciences. 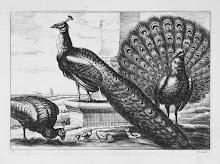 Mortal muses have also influenced artists. 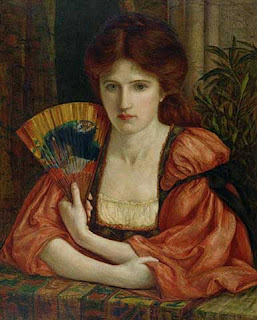 Marie Spartali Stillman (1844 –1927) was known as one of "The Three Graces" of London. Along with Maria Kassavetti and Aglaia Ionides she was celebrated in artistic and intellectual circles for her classic Greek beauty. The trio modeled for The Pre-Raphaelite artists including Sir Edward Coley Burne-Jones who painted them dancing as the Graces in The Mill accompanied by Apollo. Stillman chaperoned her sister Christine Spartali when she sat for James McNiell Whistler's The Princess from the Land of Porcelain. Around this time she began her own art studies with Ford Madox Brown. 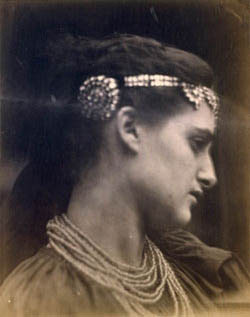 Photographer Julia Margaret Cameron captured her as Zoe, the Greek heroine. Stillman went on to become the best known of the Pre-Rapahelite women artists. producing over a hundred works.